The Women’s Association is a very active group in the church. 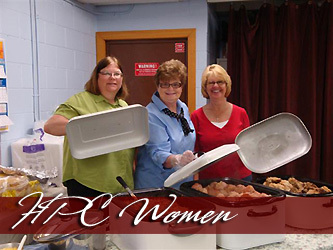 These ladies prepare and serve many meals throughout the year. They have served the Licking Valley Lions Club for over twenty five years, as well as other groups. They also organize and prepare funeral luncheons within the church. 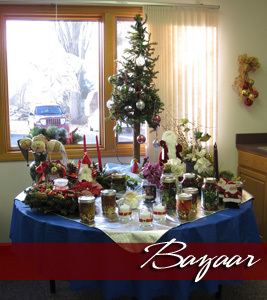 Their main project each year is the annual Holly Bazaar held in November at the church. Hand-crafted items are made throughout the year. In addition to these items, there is a deli with many homemade cookies and candies, canned items, pies and noodles. They also provide lunch to those who are shopping. Monies raised from the bazaar and deli help fund the many church projects and local and world mission programs that the Women’s Association supports. In addition to their hard work throughout the year, the group gathers on occasion for a time of fellowship.